We are rooting relentlessly for Colin Firth to be awarded an Oscar this Sunday for Best Actor for his beautiful, breathtaking, "career-defining" (according to Oprah) performance in A Single Man. We understand Mr. Firth is up against tough competition. But our determination and our confidence know no limits. To make our case, we've rounded up many parties who wholeheartedly agree with us. 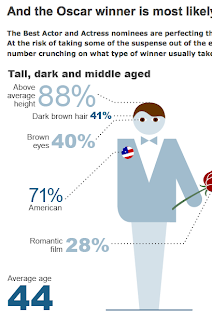 We did take note that 71% of winners in this category have been American (Firth is British). We choose to ignore it. -British actor Jason Isaacs is rooting for Firth. This might not be completely surprising, as Firth was an overwhelming favorite this year at the BAFTAs. While we have no idea how often Isaacs' predictions turn out to be true, he has been ranked among Hollywood's Top 10 most evil actors. This means everyone (are you listening, Academy?) should be afraid to disagree with him. 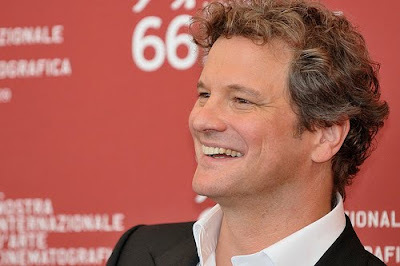 -Firth is the sole second favorite for the Oscar among the British gambling population, according to the Daily Mail. A spokesman mentions that Firth has been the best-backed actor this week, which only further convinces us of his late pre-Oscars/post-BAFTAs surge in popularity. -In an ideal world, Oscars are awarded according to performance, not career. A MOVE columnist points out that if Bridges (who is apparently a favorite) wins, it will be on account of his career and not necessarily this particular role. There is a tendency to overestimate the Academy's inclination to vote based on this type of sentiment; if it were not the case, wouldn't Mickey Rourke have won the Oscar last year? Feel free to leave your comments here. And please do tune in to WCCO TV's "News Sunday" this weekend, where sales coordinator Erik Anderson will debut a fresh haircut and talk Oscars business with Esme Murphy on the second half of the show, which airs from 10 - 11 a.m. CST this Sunday. Go Erik! Love the A Single Man film? Check out the novel by Christopher Isherwood.